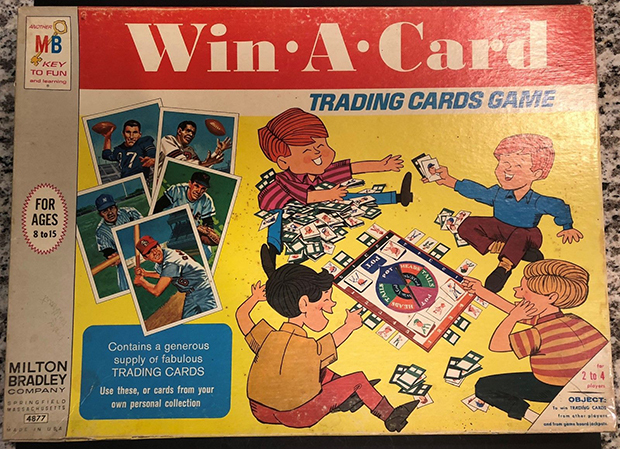 1968 Topps Milton Bradley trading cards were available exclusively as supplementary content in the 1968 Topps Milton Bradley Win-A-Card trading card game. The run includes baseball cards, football cards, and hot rod cards. 1968 Topps Milton Bradley baseball cards are parallels of some of the cards from series 1 and 2 of the flagship 1968 Topps release. 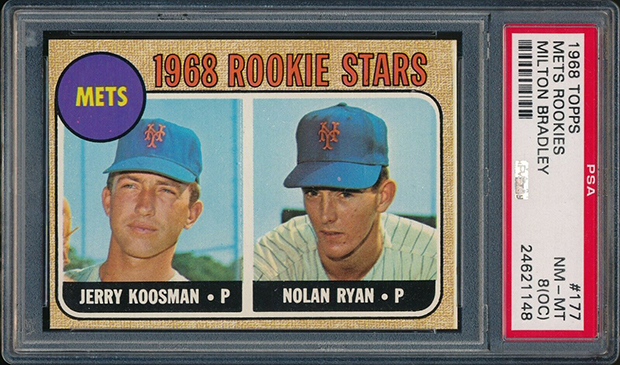 Among the cards in the 1968 Topps Milton Bradley run is an elusive parallel of the highly collected Nolan Ryan rookie card. Unless you know how to spot the differences between base 1968 Topps and 1968 Topps Milton Bradley cards, they may look identical. They're not. Here's how to identify if your 1968 Topps card came from the base pack-issued release or from the supplementary run included in the 1968 Topps Milton Bradley Win-A-Card game. 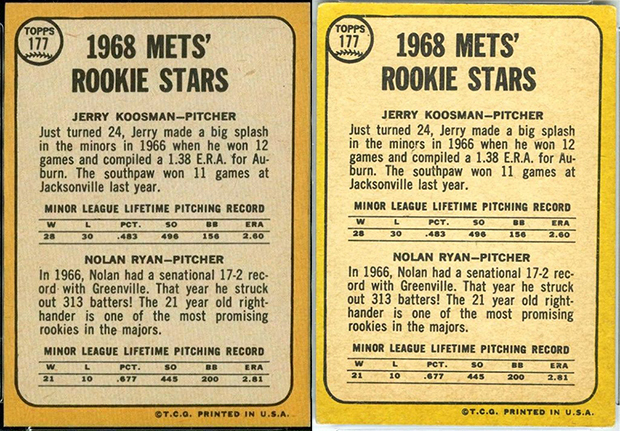 For this exercise, we'll be using the Nolan Ryan rookie card as an example but these differentiators can be generalized to all 1968 Topps Milton Bradley baseball cards. Let's get started. 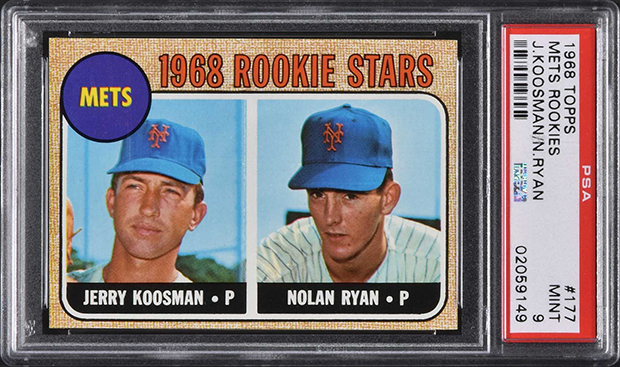 The following image is of a high grade 1968 Topps Nolan Ryan rookie card. This is the base Topps issue. 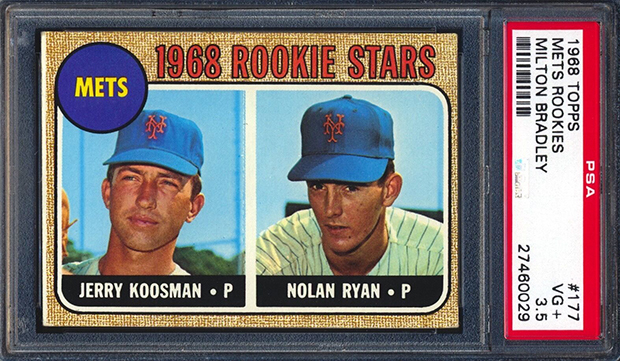 The following two images feature the 1968 Topps Milton Bradley Nolan Ryan rookie card. 1968 Topps Milton Bradley cards have a thin white line along one of the border edges. This feature is only found on 1968 Topps Milton Bradley baseball cards. If your 1968 Topps card has this white line, you've got a Milton Bradley. While the white line is only found on 1968 Topps Milton Bradley parallels, not all 1968 Topps Milton Bradley baseball cards have this feature. If your card doesn't have the white line, flip it over and compare the back to the same card from the base 1968 Topps set. 1968 Topps baseball cards don't feature any white lines along the border edges and have orange backs. 1968 Topps Milton Bradley baseball cards sometimes feature thin white lines along border edges and have yellow backs. I hope you find this instruction guide helpful with your attempts to identify your 1968 Topps and 1968 Topps Milton Bradley baseball cards.